UOL's total returns crashed -20.9% YTD in September. 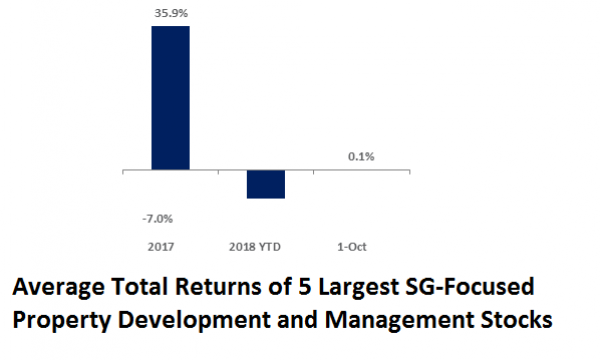 This chart from the Singapore Exchange (SGX) shows that the five largest capitalised property developers and managers saw average total returns of -7% YTD in September. Amongst them, UOL saw its total returns of -20.9% YTD. This was followed by GuocoLand (-15.2%), United Industrial (-9.4%), and Bukit Sembawang Estates (-3.7%). Meanwhile, Wheelock Properties saw its total returns at 14.3% YTD. In 2017, the big five stocks from the property sector saw average total returns of 35.9%. By 1 October, average returns of the big 5 stocks saw average returns inching up by 0.1%. 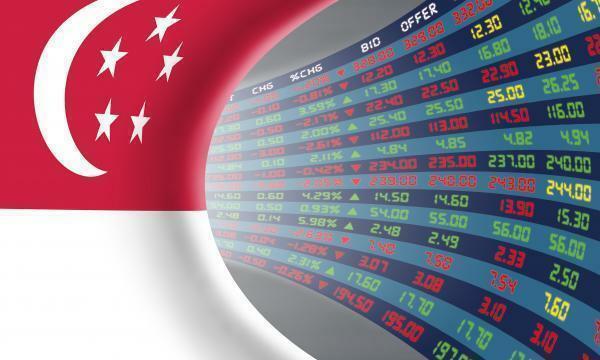 According to SGX, this is largely in line with the flash estimate by the Urban Redevelopment Authority that Singapore's private residential property in Q3 increased 0.7 points from the previous quarter to 149.7.